For more information about The Carlyle condos for sale at 1040 N. Lake Shore Drive in Chicago's Gold Coast, have a look at the featured listings below, or give us a call today! 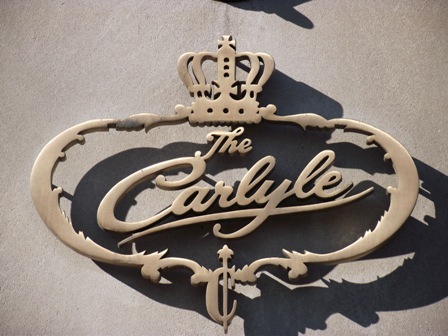 The building amenities at The Carlyle include a state-of-the-art exercise facility, indoor pool, bike storage, ballroom for entertaining, kitchen for catering, two large sun decks, and a staff of doormen that provide impeccable service to building residents. In addition to the excellent amenities, condos at The Carlyle also come with valet resident parking, as well as ample guest parking. Please note, although each condo at The Carlyle has large private balconies and a rooftop sundeck, grilling is prohibited by the condominium association. Although The Carlyle was built in the mid-1960s, many of its units have since been tastefully updated to include elegant finishes that blend perfectly with the building itself, as well as the affluent Gold Coast neighborhood. Condos here range from one- to three-bedroom layouts, while some of the larger units have up to 4,600 square feet of living space. Because the building is an older development, so many of the individual interiors have been customized, making it difficult to know some of the specific details. As mentioned however, each unit at The Carlyle has very spacious private balconies that of course have breathtaking outlooks of Lake Michigan and Oak Street Beach. Come see what The Carlyle condominiums have to offer in person. Get in touch with Helaine Cohen and her team to make an appointment to view condos for sale at 1040 N. Lake Shore Drive.